A beautiful, functional solution to block out exterior noise. 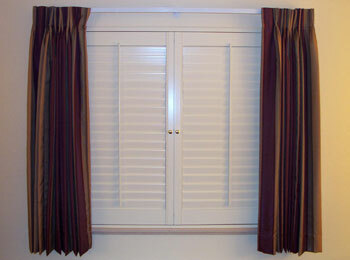 These unique shutters, available for commercial and residential applications, block most exterior noise – far more than traditional shutters! Is your property located near an airport, close to heavy traffic, railroad tracks, noisy neighbors, barking dogs, or any number of annoying sounds that keep you awake at night? 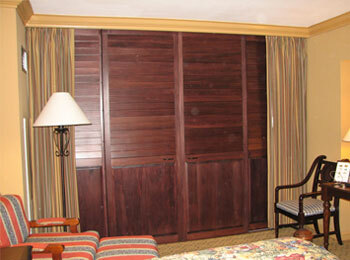 As a hotel owner, are you constantly handling noise complaints from guests who cannot get a quiet night’s sleep? 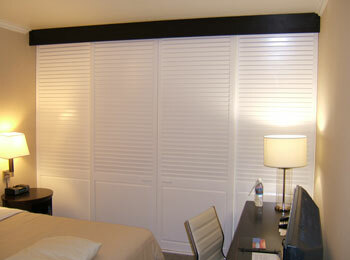 The patented Shut-Eye™ Acoustical Shutters are the best solution in the marketplace for your exterior noise problems. Please contact us for a quotation, and we will include the estimated delivery schedule for your order. For small orders, delivery times may vary depending upon our manufacturing shop work load. 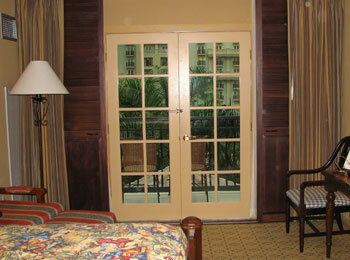 Standard windows, sliding glass doors, French doors, arches, transoms, and other windows can be covered with Shut-Eye™ Acoustical Shutters to block out all exterior noises and achieve up to 50 decibels of noise reduction. 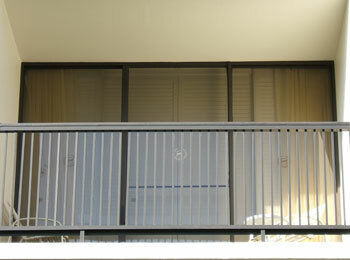 Other products, such as window-in-window designs or heavy curtains can only achieve 5-25 decibels of noise reduction under similar circumstances.